North American Reader Eyeglasses 3 Pair | BUDK.com - Knives & Swords At The Lowest Prices! 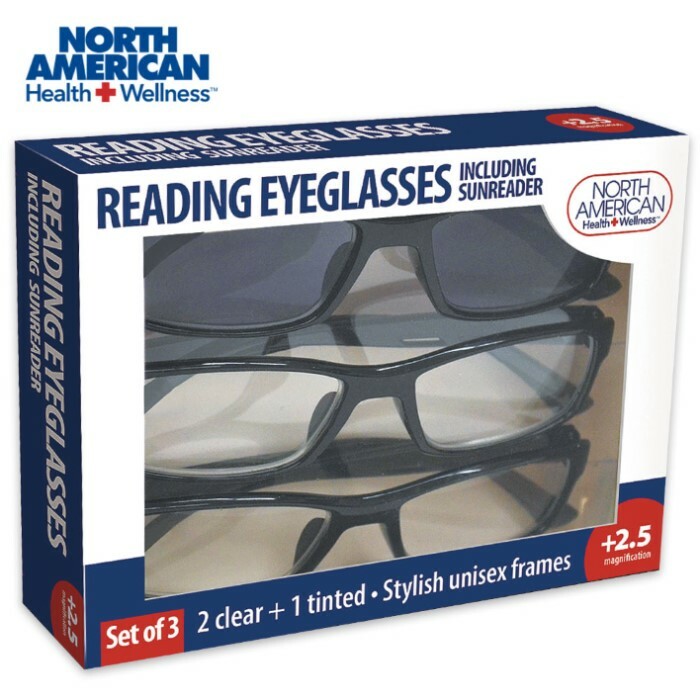 Our North American Reader Eyeglasses will help you get everything in focus. This set of three readers will help you reduce your eyestrain when reading fine print. It also includes sun-readers for outdoor use. The frames are stylish and unisex. Comes in 1.5, 2.0 and 2.5 magnification.